Important: If you order a printed certificate, we will also send you the digital certificate for free. 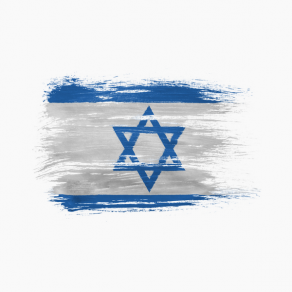 Do you know the recipient’s Hebrew Name? Do you know anything about the significance or origins of the recipient’s name that our researchers should include? Give the gift of a holy Hebrew name to a special child. 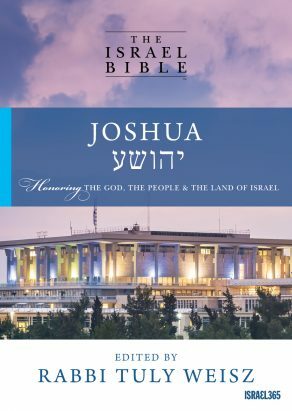 • Baby’s name personally researched and translated into the Holy language. • The meaning of Baby’s Hebrew name and its corresponding Bible verse. • Baby’s Hebrew birthday based on the Jewish Calendar. • Comes in four different choices of styles. 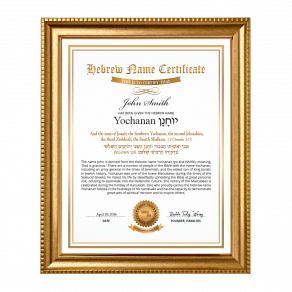 The Hebrew Baby Name Certificate will be delivered directly to your home, printed on high quality paper and enclosed in a certificate folder. If you are ordering as a gift, we can send it directly to the recipient’s address. NEW! The Printed Certificate will be sent to you in a sturdy and decorative faux-leather display folder! And in the wilderness, as you have seen, that the Lord bore you, as a man carries his son, on the entire way that you traveled until you arrived at this place. This verse speaks of God lovingly carrying the Jewish people as a man carries his son. 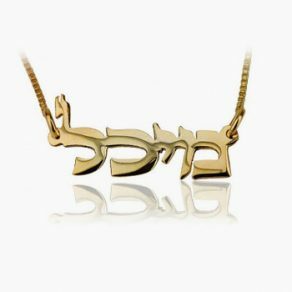 When a new child is born, Jewish tradition holds that God bestows divine intuition onto new parents in choosing their baby's name. We are excited to to share our meaningful new Hebrew Baby Name Certificates, beautifully designed and inspired by the Bible. What would be the Hebrew name for a girl named Kingsley? 5 out of 5	Beautifully and wonderfully made in God's loving presence. This Hanukkah gift is for a dear friend you has know my son since high school. Brandon Varon is now a father to Hadley Anne Varon, and Vieve Varon.